to buy a head of cattle to increase his income. Ashraf benötigte 600 US-Dollar, um ein Gewerbe im Bereich Landwirtschaft auf- oder auszubauen. Das Geld wurde gesammelt und für Ashraf bereitgestellt. Ashraf is 27, married to a housewife, and has a child. He has cattle-fattening project; he fattens and then sells cows in markets. 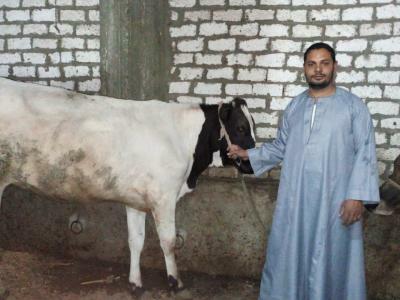 Because of demand for dairy products, he wants to develop his project by buying another head of cattle. So, he asks for a loan to buy a head of cattle to increase his income. He will use that income to help his brother get married. Ashraf wants to see his brother be happy.